A new publication in the journal Phytokeys, Atlas of diatoms (Bacillariophyta) from diverse habitats in remote regions of western Canada, is now available. In this publication, diatoms are documented from rivers, streams, lakes, pools, bogs, fens, beaver ponds and wet meadows in six regions of western Canada (map). Most of the samples are from sites in remote locations and many are accessible only by hiking, kayak or canoe. The sites range in elevation from sea level to over 2000 m a.s.l. The sites cover a variety of freshwater, brackish, lentic and lotic habitats in tundra, taiga, mountain and rainforest biomes. Detailed descriptions of sample sites, including color photographs, are provided. The atlas is a contribution to knowledge of diatom floristics, biogeography and ecology. 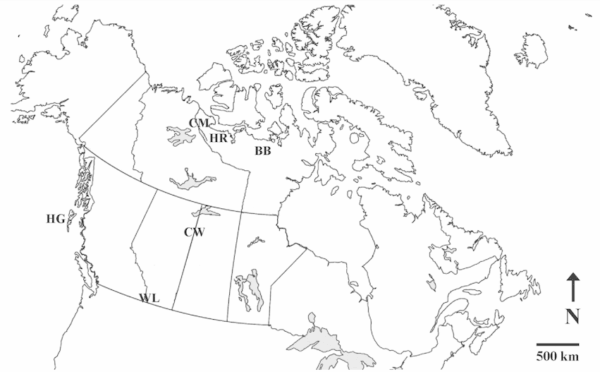 Samples were collected from Waterton Lakes National Park (Alberta), Haida Gwaii Archipelago (British Columbia), and along the corridors of the Baillie and Back Rivers (Nunavut), Clearwater River (Saskatchewan), Coppermine River (Northwest Territories and Nunavut), and Hood River (Nunavut). Many of the sampled water bodies are not named on topographic maps. The work includes many taxa already included in the Diatoms of North America web project, and provides further information on their ecology and distribution. It also includes many taxa that could not be identified with available references and are presumed to be new to science. Bahls, L., Boynton, B. and Johnston, B. 2018. 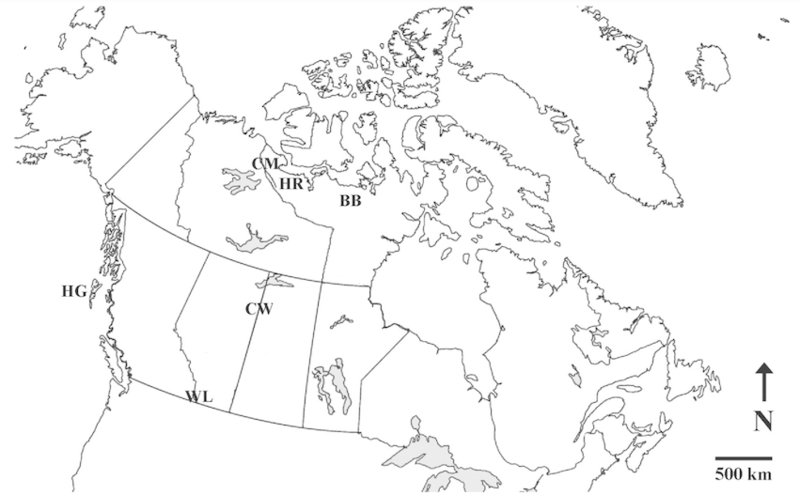 Atlas of diatoms (Bacillariophyta) from diverse habitats in remote regions of western Canada. PhytoKeys 105: 1–186.